All izzz well when heart is well. 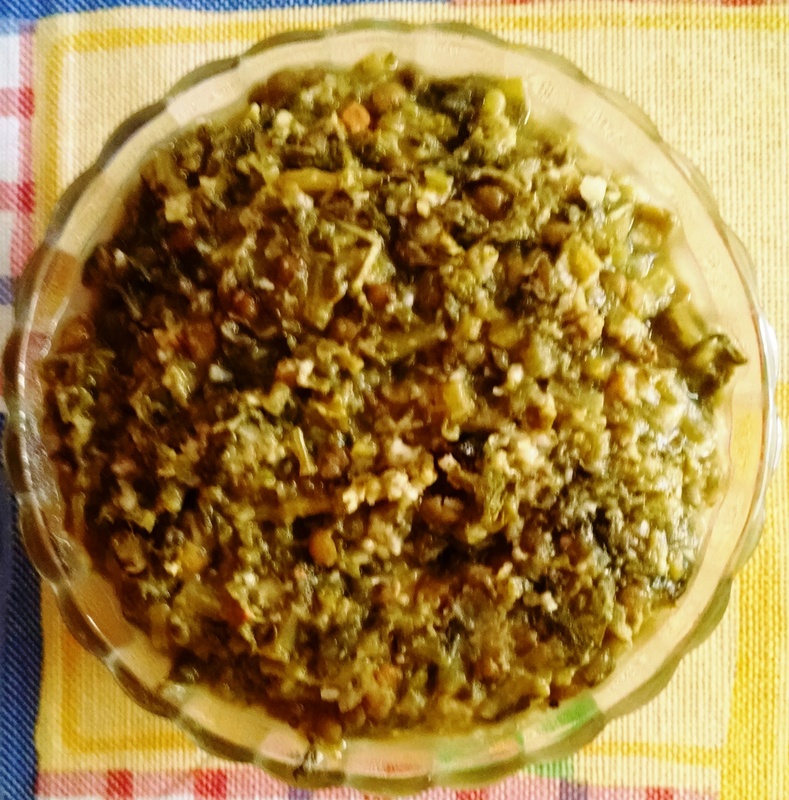 What better way to keep it that way than teeming our lifestyle with this magical green coloured gram called Mung Bean. This tiny bean plays a mighty role in combating heart diseases since its rich magnesium content relaxes arteries and veins keeping the heart healthy. Wash green gram thoroughly. Keep it for boiling on low flame in a pressure cooker along with water, turmeric and ghee. Wash greens (dantina soppu) and tomatoes thoroughly in salt water. Drain out the water. Chop greens finely. No need to chop tomatoes. Peel the skin of onions and finely chop them. Wash the 2 green chillies, slit them and keep aside. By this time, green gram would have been half cooked. Remove the lid of the pressure cooker. Add the chopped greens and salt and over this, add tomatoes. After 2 whistles, switch off the pressure cooker. Let it cool. While the cooker is cooling….do spare time to read footnotes given at the end of this recipe. By now, pressure in the cooker would have subsided. Transfer the contents on to a colander to drain the water to another vessel. Preserve this precious nutritious water, a tbsp. of cooked green gram and greens and the 2 cooked tomatoes aside to make “Green Gram Rasam with Greens” later. (Recipe posted separately at Sarapaaka). Now is the time for seasoning. Heat a drop of ghee in a small skillet. Do not heat it too much. When it is just hot, put mustard seeds. When they crackle, immediately put black gram, slit green chillies and then the finely chopped onions. Now add a pinch of salt and the remaining cooked green gram and greens. (Do you remember keeping a tbsp. of this aside to use for Rasam?) Mix them well and toss it for a minute or two. Garnish with raw grated coconut if desired. Hmmm….Green Gram Curry with Greens is ready. Let this side dish occupy the altar, next to Rothis n Parathas. Note: Don’t forget to use the remaining cooked green gram and greens and the boiled and drained water to make “Green Gram Rasam with Greens”.